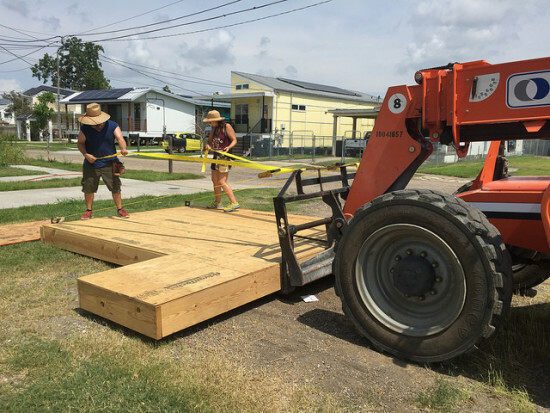 Ten years after Hurricane Katrina tore through the Gulf Coast region, inundating New Orleans with contaminated floodwaters, the city is in some ways still getting back on its feet. After much dispute on how to recover the city, architects and developers are looking to new construction and existing building stock for solutions. Many homes in the Crescent City were washed away or irreparably damaged. 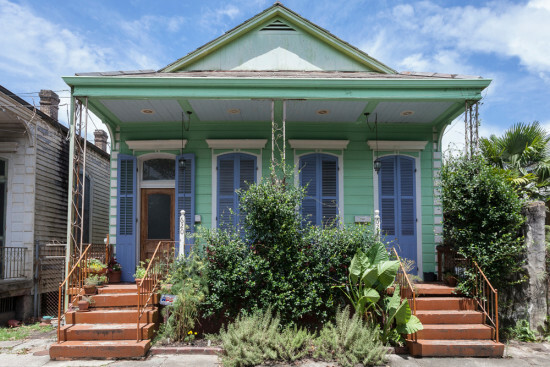 One of the most predominant home styles damaged in the storm was the so-called shotgun house, named as such due to its elongated style organized around a long corridor stretching the length of the house. That typology is has been deployed by numerous groups in the past decade to rebuild New Orleans. Developers and architects have been snagging headlines rebuilding what was lost. 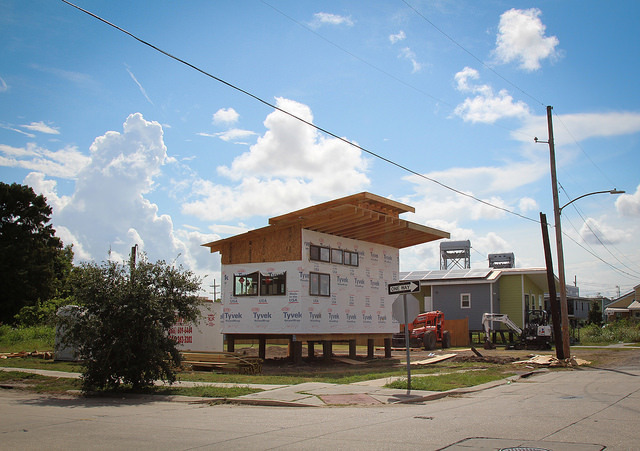 Most notably, Brad Pitt’s Make It Right Foundation, has built over 100 homes in the city, many by top name architects and more still with modern designs that reinterpret the city’s historic shotgun house. 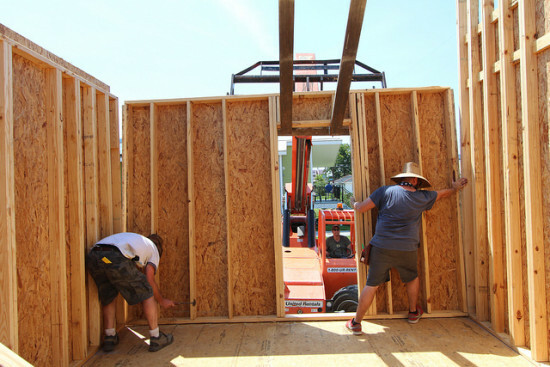 Make It Right has lately been building “tiny houses,” a style of housing meant for people on a small budget subscribing to a fast-paced, out-of-home lifestyle that’s fitting for the urban environment. The tiny house style is very much a result of the financial crisis from which cheap housing was in demand. The above tiny house, conceived by Jordan Pollard, Make It Right’s research, design, and development manager, will sell for under $100,000. Make It Right’s shift from full-scale houses to these small-scale counterparts could be a response to tighter funding streams and budget constraints, The New Republic claims. According to New Republic, in 2013 the foundation also opened up its homes to buyers who didn’t previously live in the neighborhood before Katrina, indicating troubles under the surface. As Make It Right’s houses struggled to attract buyers, the under-populated area also failed to attract businesses, stores, and services. That meant the predominantly elderly population living in the ultra-modern houses designed by architects such as Shigeru Ban and David Adjaye were miles away from supermarkets and other necessities. Affordable housing developer Brandon Dughman is taking a different approach from building new, instead targeting existing building stock. 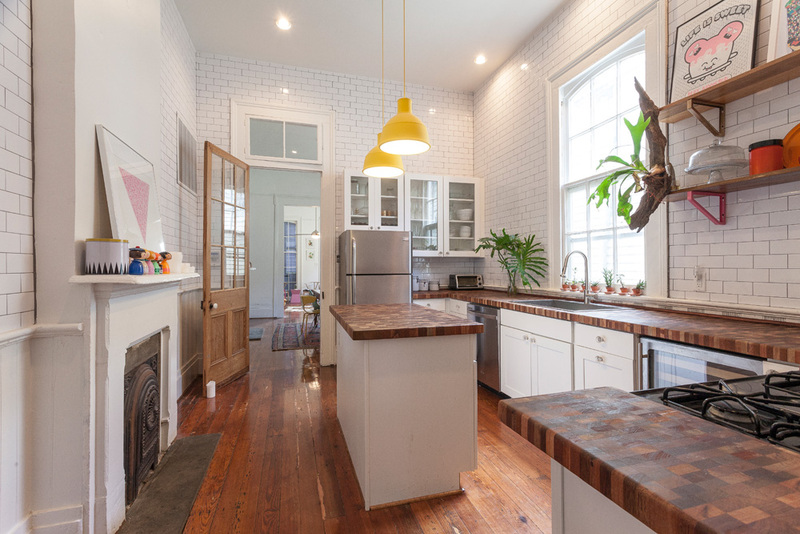 Recently Curbed covered how Dughman renovated an old shotgun house to tactfully create a new interior. Despite the old structure’s failures, Dughman celebrated quirks such as the slanted floor and visibly old doorways. Here, he has shown how the structures of New Orleans’ past can still be a versatile, viable and attractive place to live.